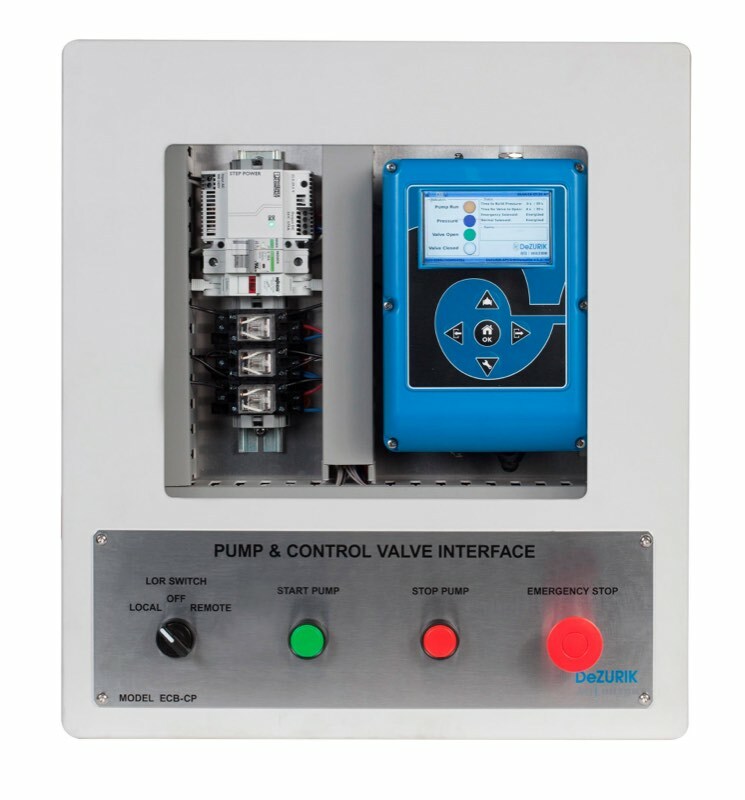 The DeZURIK ECB Pump & Control Valve Interface is designed to provide control between the pump and pump control valve to minimize pressure surges in the system when the pump starts and stops. The pre-programmed controller properly sequences and controls the pump and pump control valve start-up and shut-down procedure, thereby protecting the pumping system from damage due to mechanical, hydraulic or power failure. The controller is available for either solenoid controlled valves or motor operated DeZURIK, APCO or Willamette pump control valves, and is suitable for booster pump and deep well applications.